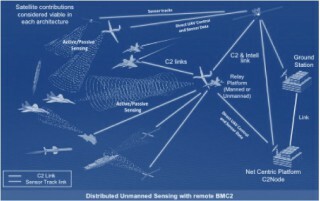 The JSTARS Recap Weapon System solution will incorporate currently available technology to recapitalize the JSTARS Battle Management, Command and Control (BMC2) Mission and the Synthetic Aperture Radar / Moving Target Indicator (SAR/MTI) capability on a smaller, more efficient airframe, thereby reducing life cycle costs of the weapon system. The JSTARS Recap Program Office will contract for the delivery of a complete integrated weapon system solution, as opposed to holding separate competitions for individual weapon subsystems for subsequent integration. 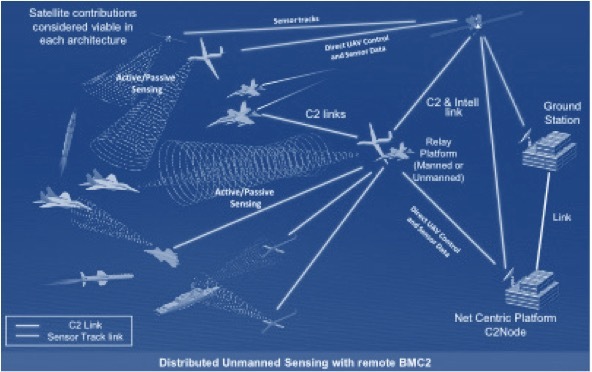 The overall Weapon System will be comprised of the following industry integrated subsystems: the aircraft, the sensor(s), a communications suite, and a BMC2 suite. The JSTARS Recap Weapon System solution will integrate high technology readiness level (TRL) components, and will utilize an Open Systems Architecture (OSA) to reduce integration risk and lifecycle cost. The US air force will consider both US and international airframers to replace the Northrop Grumman E-8C JSTARS fleet and confirmed its preference for a smaller aircraft than the Boeing 707-based E-8C. The move to accept international competitors opens the competition also to international aircraft manufacturers, including Airbus, Dassault and Bombardier, whose Global 6000 and Global 7000 would fit the bill. It also seems to give a leg up to competitors who are betting that a business-size jet will prove a more efficient and affordable replacement than would an airliner for the E-8C, which is based on a Boeing 707. A “smaller, more efficient airframe, thereby reducing life cycle costs of the weapon system,” is required. A previous attempt to replace the E-8C with a Northrop solution based on the Boeing 767-400ER was cancelled due to excessive costs. The field of competitors already includes Boeing with a 737-based offering, a Gulfstream proposal based on the G650 and a Northrop Grumman offering based on the Gulfstream G550. Plans to improve JSTARS have focused on 3 main areas. One is the planes’ aged Pratt & Whitney TF33-102C engines. By 2011, an R&D program had proved out a replacement concept involving PW’s JT8D-219 engines in a pod-based kit, but the USAF hasn’t funded fleet conversion. The 2nd area involves the aircraft’s electronics, which age out at a faster pace than other components. The entire force was upgraded to Block 20 status in 2005, but the use of commercial hardware and software standards only solves part of the problem. The cancelled E-10A had already made big investments in an updated Battle Management Command and Control (BMC2) mission suite, but adding BMC2 to existing E-8 aircraft would involve substantial rewiring and other “deep maintenance” work. That’s time-consuming and expensive. The 3rd area involves the planes’ radar and sensors. J-STARS operations have to contend with their AN/APY-7 radar’s limitations, which have been underscored by the challenges inherent in campaigns against stateless terrorists and counter-insurgency fights. One is that the radar has to “break track” with a target, in order to collect an image. Another is the radar’s resolution, which is adequate to find tanks and ground vehicles, but doesn’t reach the under 1 meter resolution of current technologies. It isn’t difficult to imagine that a J-STARS or Global Hawk would need to perform wide area scans, while focusing with higher resolution on one target of interest, and occasionally taking high-resolution synthetic aperture radar pictures for transmission to HQ or other platforms, all at the same time. The E-8C J-STARS can’t do that at the moment, but the architecture of AESA radar arrays is making this sort of thing possible on platforms like advanced fighters. Understandably, the USAF wanted this capability for its reconnaissance aircraft. A new AESA radar called MP-RTIP was originally developed for the (cancelled) E-10A JSTARS replacement, with a claimed 5x – 10x resolution improvement over the JSTARS’ APY-7. A smaller version will now be mounted on Global Hawk Block 40 UAVs, and one obvious approach would be to equip E-8s with a full-size MP-RTIP or a similar radar.